This is a foreign exchange guide to Cuba, the Cuban Peso currency plus CUP transfers and travel tips. Cuban Peso exchange rates - latest & historic exchange rates. What is the Cuban Peso currency code and symbol? The three letter currency code for the Cuban Peso is CUP and the symbol is ⃌. Is the Cuban Peso a closed currency? Yes the Cuban Peso is a closed currency. Which means that you may find it difficult to purchase the currency (CUP) before departure and will probably need to buy it upon arrival. If you do manage to buy some of the currency or have some left over from a previous trip, make sure you are aware if you are allowed to bring this closed currency into the country. Which countries use the Cuban Peso? It is the domestic currency in Cuba. The interactive chart below shows the USD to CUP exchange rate for the previous 3 months with rate alerts for days when the exchange rate moved up or down significantly or for 30 day highs and lows. Bereft of modern interference, Cuba’s colonial cities haven’t changed much since musket-toting pirates stalked the Caribbean. The atmosphere and architecture is particularly stirring in Havana, Trinidad, Remedios and Camagüey where grandiose squares and cobbled streets tell erstwhile tales of opulence and intrigue. 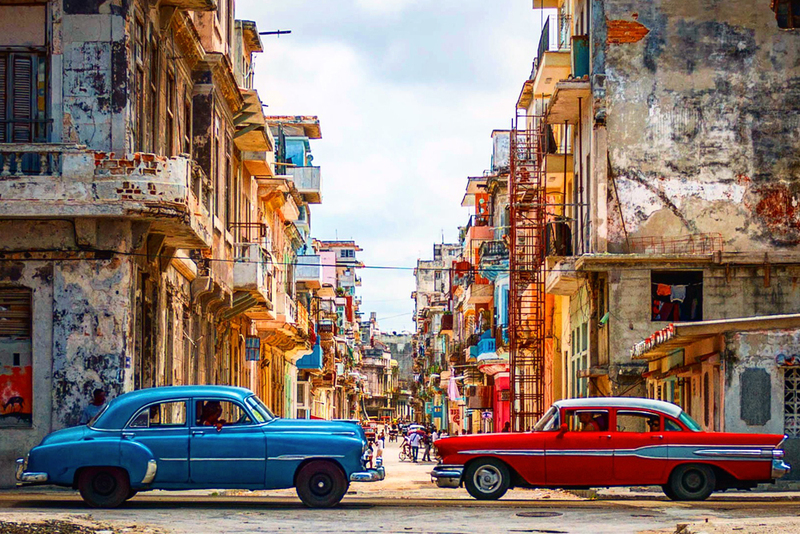 Come here to be mesmerised by the eclectic architecture, with a surprise around every corner; to sway to the Cuban rhythms in surround sound as you stroll; to be inspired by cutting-edge contemporary art; and to taste the creative cuisine of the next gastronomic capital of the world. And whatever you do, explore beyond the borders of beautiful Habana Vieja (Old Havana), to discover the city’s distinct neighbourhoods. What currency to use in Cuba? Bring cash on your vacation. And lots of it. American travellers should note that credit cards and debit cards issued by American banks are not accepted anywhere on the island. If you’re coming from Europe or elsewhere, there’s a good chance that the ATMs at the airport and major tourist destinations will accept your card, but it’s best to doublecheck with your bank before travelling. Beware that ATMs in Cuba have massive fees. Some hotels, car rental agencies, and instutitutions run by the government accept credit cards (again, non-American), but it’s best not to count on it. None of the paladares (small family-run restaurants), casa particulares (home-stays), or small tourism businesses accept credit card. ATMs and credit card machines are notoriously finicky in Cuba and you don’t want to be stuck with $US100 for a two-week vacation. The best plan is to carefully budget how much money you think you will spend on your trip and add 10% – just in case anything goes wrong. If you can, bring the cash in euros. While Cuban currency is pegged to the U.S. dollar, the government charges a 10% penalty when converting dollars to pesos. How to get around in Cuba? Bus travel is a dependable way of getting around Cuba, at least in the more popular areas. Víazul (www.viazul.com) is the main long-distance bus company available to non-Cubans, with fairly punctual and reliable air-conditioned coaches going to destinations of interest to travelers. Cuba is a cyclist's paradise, with bike lanes, bike workshops and drivers accustomed to sharing the road countrywide. Spare parts are difficult to find – you should bring important spares with you. Throughout the country, the 1m-wide strip of road to the extreme right is reserved for bicycles, even on highways. It's illegal to ride on sidewalks and against traffic on one-way streets and you'll be ticketed if caught. The most important ferry services for travelers are the catamaran from Surgidero de Batabanó to Nueva Gerona, Isla de la Juventud, and the passenger ferry from Havana to Regla and Casablanca. These ferries are generally safe. Cuba is known for its beautiful beaches. The vast majority of Cuba's tourists gravitate to the attractive arcs of white sand that pepper the country's north coast and offshore islands. But, explore beyond the beaches and you’re in a different domain, a land of fecund forests and crocodile-infested swamps, abandoned coffee plantations and rugged mountains as famous for their revolutionary folklore as their endemic species. As mentioned above, the Cuban Peso is a closed currency. Which means that you may find it difficult (or be permitted) to purchase the currency (CUP) before departure and will need to buy it upon arrival in Cuba. For these types of destinations, using a pre-paid travel card is a good solution. As no travel cards support loading closed currencies like the CUP you will incur currency conversion or foreign transaction fees if you use a travel money card in Cuba. When searching around for information on how to get a good exchange rate when sending money to Cuba you need to start with finding out the latest Cuban Peso foreign-transfer exchange rate. Once your funds are received by the provider the converted CUP amount will be transfered to the recipient account you specify in Cuba. Use our Send to CUP calculator to compare the exchange rates of FX specialist providers rates versus your bank's standard rates you can hopefully save around 5% and maybe more - end result is more Cuban Peso deposited into the recipient bank account and less margins and fees kept by the banks!